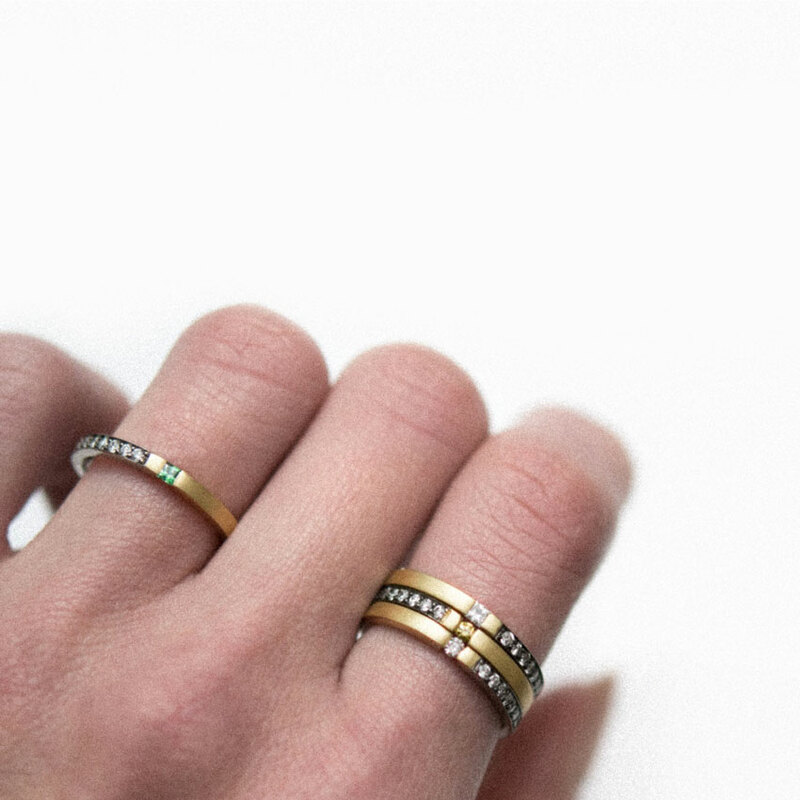 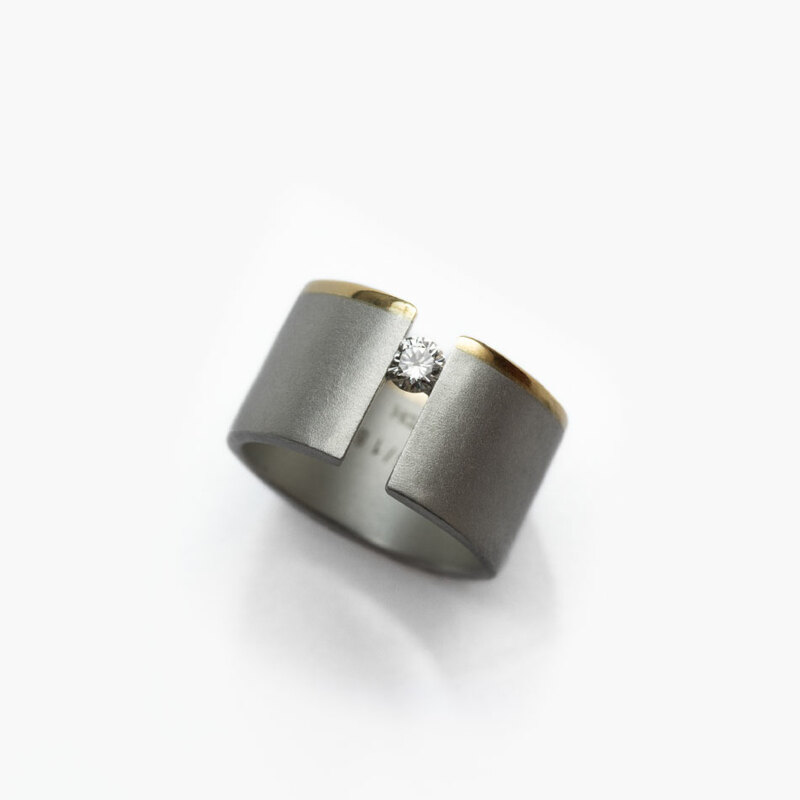 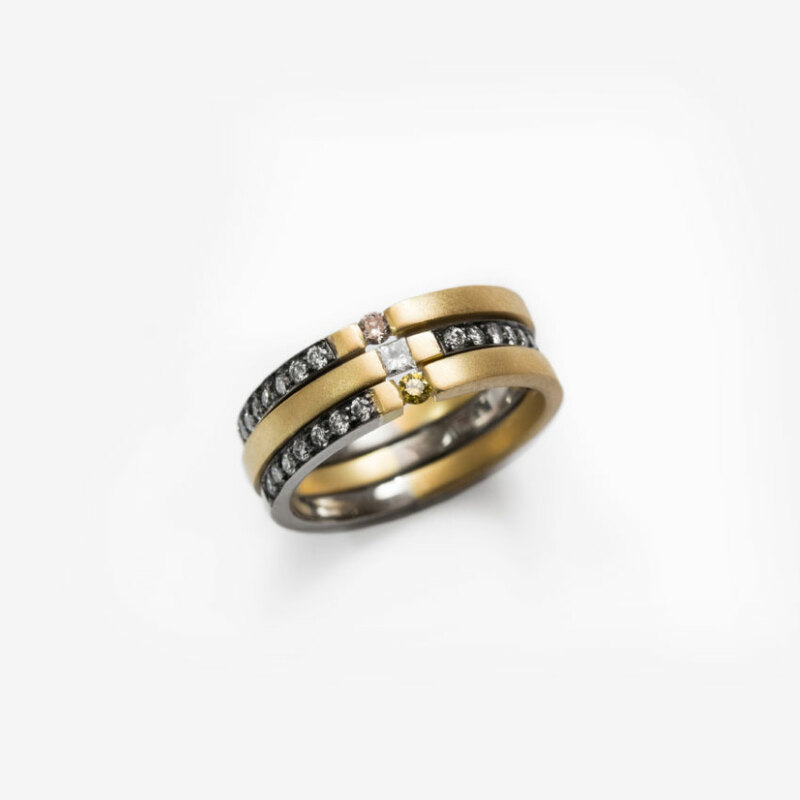 The vacuum stackable rings are crafted in matte 18K yellow gold and high-polished 18K palladium white gold. 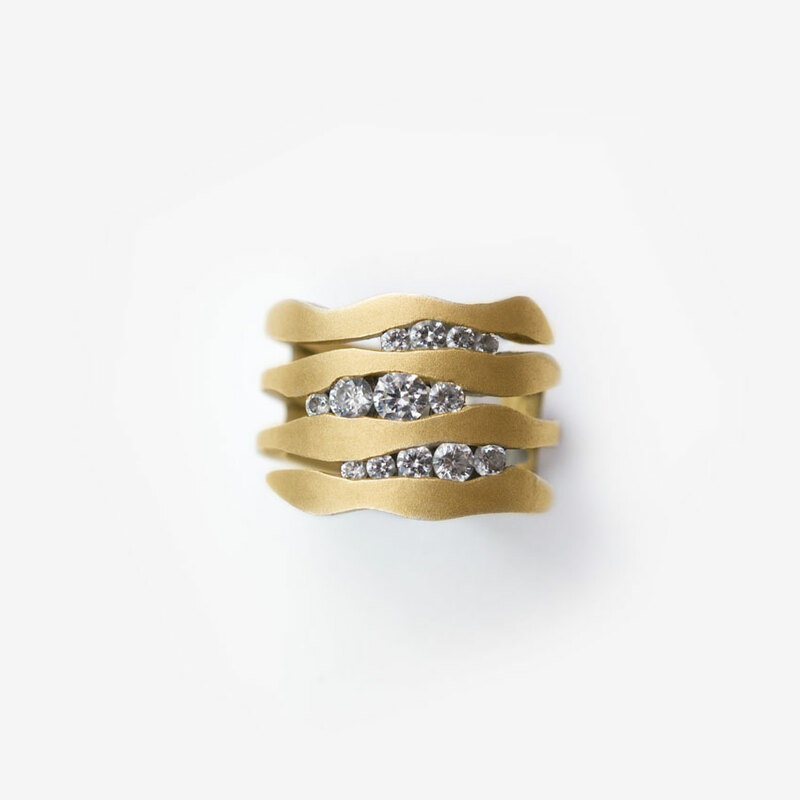 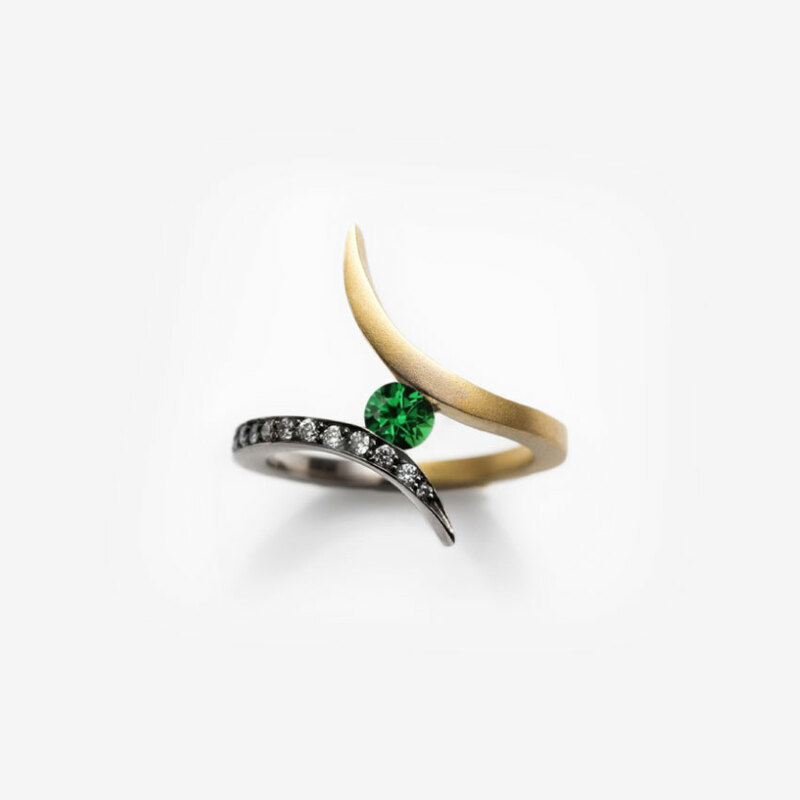 They are set with either a fancy yellow diamond, a fancy pink diamond, a princess cut diamond (F-VVS), a white diamond (F-VVS), or a gray diamond as a center stone. 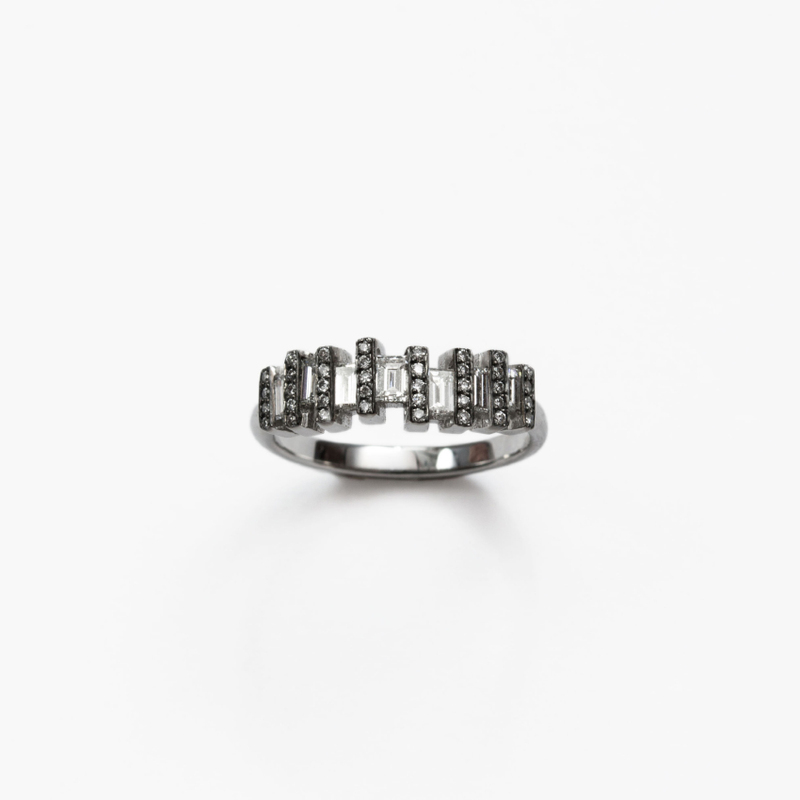 The pavé are white diamonds.